Turnagain Arm in Anchorage, AK is certainly one of the more beautiful neighborhoods of Anchorage, AK. One of the major attractions within the neighborhood of Turnagain Arm is the scenery. You would be living in the midst of beauty at all moments of the day if you chose to live in this neighborhood. 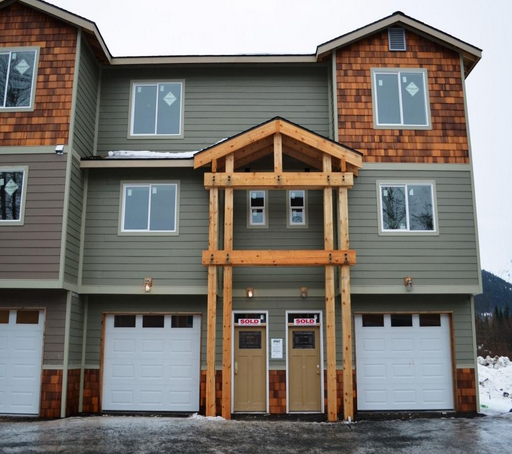 Residents and home owners are able to view right from Turnagain Arm the the 3,000 ft. Chugach Mountains, which are nearby, so it could be a mountain climber’s dream to live so close to the mountains. Another one of the major attractions in Turnagain Arm is their wildlife. There is so much that you can do here when it comes to wildlife activities that it is unreal. People are almost guaranteed to have a good time while here, and if they choose to live here, they will have a good time nearly all the time. There is so much that you can do here. Turnagain Arm has a couple good schools that you can choose to send your child to. The area has good schools and the high school graduation rate here is at around 90 percent. Not to mention, many of those who graduate from high school, around 80 percent of those go on to college to further their education. One of the things that Turnagain Arm is famous for is having the largest bore tide in the entire US. You will also find that you are never far from the beautiful Alaskan scenery. About 50 miles beyond Turnagain Arm, there is another town called Girdwood, and they have a five-star ski resort that is fantastic for any skiing enthusiasts. If you enjoy the outdoor life, then you will never be far from your passions in Turnagain Arm. Turnagain Armtrail: One of the great things about the Turnagain Armtrail is that it offers you many spectacular views that you will not get anywhere else. In the spring of the year, the Turnagain Armtrail is one of the first trails that are open for hiking. Beluga Point Lookout: This is another gem of Turnagain. Here, you can get a spectacular view of the bore tide where you might see surfers or kayakers riding the bore tide for more than a few miles. It is a wondrous sight, and many of the waves can reach up to 10 feet high. However, the conditions have to be right so it can sometimes be rare. Canyon Creek: Canyon Creek was a popular place for the seekers of gold. In 1896, over 3,000 miners came to Canyon Creek seeking their fortune. In the early days, it was known by the prospectors as The Forks. A wondrous sight for anyone looking for something memorable. Overall, Turnagain Arm is a location that will be unforgettable. If you want to live somewhere that you can brag about to your friends, then this is definitely the place to live. Anyone who loves the great outdoors will find this place to be spectacular.